Swiss-born Kim Leuenberger (25) studied chemistry, but then left it all to move to England and enroll the University of the Arts London. Her love of photography prevailed. 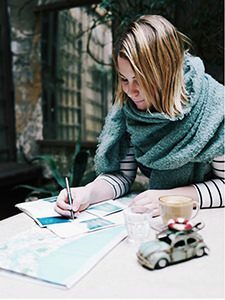 Today she specializes in travel and lifestyle genres of photography, but what makes this case unique: her favorite and irreplaceable travel companions, but also models to photograph are – cars. 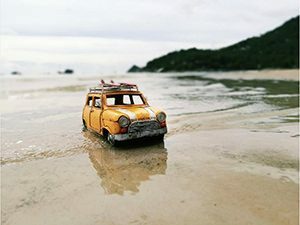 Tiny vintage toy cars become huge in her images, while she focuses on them in different dramatic surroundings of nature and cities. 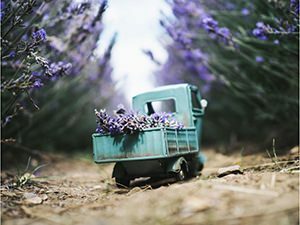 A girl in love with car toys is already breaking stereotypes, but she is also the one taking seemingly insignificant objects and producing something much bigger: images of beauty which people can relate to. Toy cars, toy trucks, and even toy scooters travel with Kim to some grandiose places that become backdrops for photographs which take us on the retro journey – to childhood. As somebody who moved from Switzerland to England, how did left hand /ride hand side of street driving affect your sense of orientating in London or at home? Like everything, you got to adapt yourself. I still travel back and forth a lot, and still always go to the wrong side of the car whenever I’m in the UK, that will never change. What is your favorite mode of traveling? Don’t say it’s by the car?! But it is!! I find that driving somewhere is the best way to be as free as you can possibly be. I usually try to have a bit of a mix to be fair; I usually get out of London by plane, arrive at the destination and, if it’s a city, I’ll walk and use public transports, then rent a car and discover what’s outside of it. But if I could choose one type of transportation for the rest of my life, it would probably have to be a Vespa or an old VW beetle! How did your love for small retro toy cars come about? I’ve always been quite an old soul. Already when I was just a kid, I would only listen to my dad’s music, The Beatles, Supertramp, Pink Floyd. I loved the sound, that unique universe and color to the music, so the love for retro cars came quite naturally with it too, as my whole family was into cars. The first toy as it were was gifted to me by my parents, and then I just found myself buying and receiving more of them with time going by! Now when you are traveling across Europe or Asia, how does it look like? With how many cars are you typically traveling? I usually take about 2-3 cars with me when I’m traveling, different sizes, different models, and color. I always find that one suits a situation more than an other, and it always depends on the light and the mood of the place that day. Let’s say, I’m very rarely carrying a light bag with me. I had to compromise on the camera and lenses weight to allow more of it to be cars. Do you travel already with the idea of the photographs you would like to create, or the places inspire you when you arrive? It’s usually the latter. I don’t like researching a place beforehand. I love getting there and taking it in by myself, without having things to tick off my bucket list (I still do that sometimes). But I found that the places I expected the least to be amazed by were usually the ones that stuck with me the longest. These places that you might just not have gone to, always end up being the best. 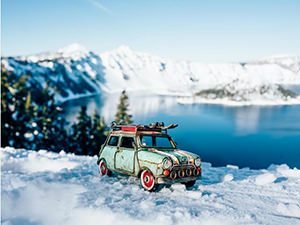 Vintage toy cars can go skiing too! Your cars go sunny places, snowy places, into the ocean, you name it. They are quite tough little things! Are you ever afraid of them going rusty in these various harsh climate conditions you put them through? Have you seen the state of them? They’re completely bust and rusty. Everyone assumes that they’re very old models, but really they’re a few years old. I think these situations they go through add to their character, make them look unique and generic. Most of them are falling apart, broken, and I fix them relentlessly up until the day I can’t take them out anymore, and then they sit on my shelves in my room, happy to have retired off their modeling duties! What are the most dramatic adventures you brought them through, or plan to? Well, I lost one of my big VW vans into the sea in Spain a few years ago. A big wave came by and surprised me and took the car away. It was early in the year, in February, but I ran after it and had water to my waist. I never managed to find the car again. The next day I went to the store where I originally bought it, and the salesman had the exact same one there, so I bought it again, and got a discount. Your photographs obviously play with our perspectives, but also with nostalgia. What are the ideas you are trying to push with this work? This work is a sort of self-therapy and childhood wonder and play for me. Once I’m out and about taking pictures of my cars, the child in me just starts taking over, and I’m having so much fun. How did the experience of photographing small cars change the way you think about traveling? Does playing so much with little things makes it easier to – dream big? It didn’t really. I think I’ve always been a big dreamer. It just makes my bag a little heavier. What are the destinations you would still love to take your little cars to? I’d love to go to Cuba and explore more of South America, but also Australia and New Zealand. The dream would be Antarctica though! 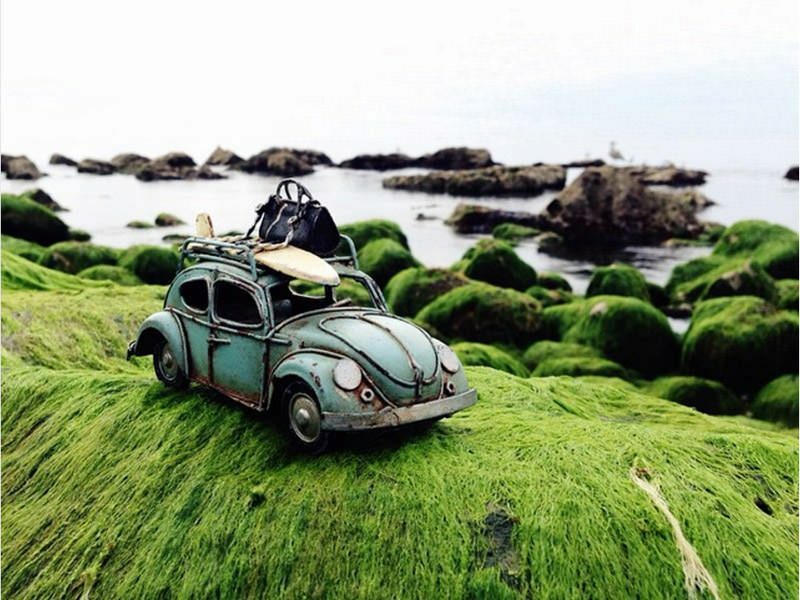 To see more of Kim Leuenberger’s vintage toy cars, visit her Instagram account!